Sniffs the ground. Sits and scratches its chin with its foot. Will occasionally do a dance similar to the Shaman ghost wolf dance. This pet drops from fox creatures in the new PVP area, Tol Barad Peninsula. There is a total of 16 Baradin Foxes found in the area. Unlike Wintergrasp, players cannot fly directly into the zone and must either queue for a Tol Barad battle or use a portal located in Stormwind or Orgrimmar. Players must be level 85 to use the portal to teleport directly to the zone. 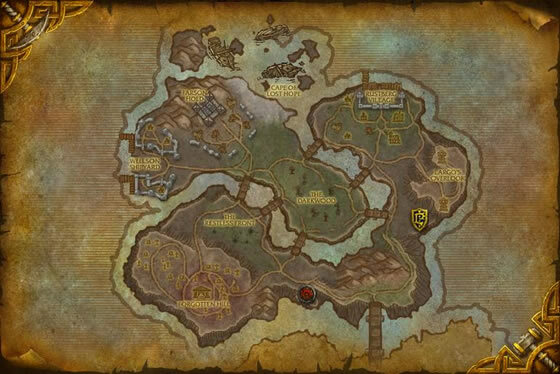 Although the zone is somewhat separate from the actual PVP zone (Tol Barad), players may still encounter some PVP activity while farming for this pet. Players on non-PVP servers will not be flagged for PVP while on the peninsula. I just wanted to confirm that it does still drop. Got mine from the foxes on the beach close to the spiders on the center island. In case you didn't know it isn't farmable in the PvP area. Ridiculous drop rate. Raid gear should be the only thing that is this difficult and time consuming to get. Update: Can anyone confirm that this pet even drops from the Baradin Foxes anymore? I have easily killed over 2000 of them, I've seen 0 on the AH, and I never see anyone else farming them at any time. I love this pet. He's one of my personal favorites. Any pet that dances as they Idle is alright in my book. He's a great battler with some solid moves. He's my go to pet when I need a Beast type. I named mine Star Fox. Nice chunk of health and if you use dazzling dance you will be faster than 341 speed pets(primarily Death Adder Hatchling). Use Crouch and Flurry and your opponent will think twice what they send up against your Fox Kit. Howl is a nice game changer, lots of fun combinations, often though it will force a switch which is not all that bad. Good durable pet that are not that often seen in battle. I read the comments here to see where to get this guy. He looked pretty tough to get. But - I got him on my first try. I opened the AH and there he was! 3500 gold! I then went to do the dailies anyway just to get a second - and yeah - a week later with no luck. So if you don't want to do dailies - wait for a decent price on the AH. Price on AH has been 10K average but someone always drops a pet for cheaper so have patience if you plan to buy. Wow... I spent a ton of time farming for this guy on my pre-Pandaria toon. I hope I already have the commendations to buy him. Oh happy day! After not wanting to do the dailies after I get the last mount I need, I went back to killing foxes in the area while doing dailes and just had him drop!!!! Now that we share pets across the account - your other toons on the same account don't need to be exalted to summon this little beastie. Next on my list! Thank god it can now be bought from vendor.. since I don't have much luck, I'd better farm points and be sure that after a while I can own this little guy than hope for luck, lol! Edit: I finally got this fella, and I must say I love the cute dance! Didn't know he does that! Yay it dropped on the sixth kill. Guess it balances out since the crimson and emerald whelplings and the sea pony flat out refuse to drop for me. Too funny. I farmed this pet for hours with no luck (as usual). Then Blizzard announce that this pet will be on a vendor for 200 mark. As I used all my mark for mounts and pets, I was doing the daylies since 2 weeks and, in the same time, still killing fox... who knows ;). With this pet going vendor, I also read you can still farm it also. I also heard that all pets are going acccount wide too. So does that mean those of us who have spent countless hours farming for this, will have to get our other toons exalted before they can use it? I really wonder what blizzard is thinking making this obtainable through an alternate method. I mean if they want to make all BoP RnG Pets obtainable through an alternate method like this then sure i'm all for it. But if its just this one pet then i am strongly against it. I want a blue post explaining the reasoning behind it regardless. I farmed this pet for MONTHS - it took me over 2,500 kills to get the pet. And now I'm being told that soon you'll be able to purchase the pet with tokens!!!!! WTF, Blizz - I'm normally a level-headed kind of guy, but this has just made my endless hours of farming utterly futile! Why? Why do you have to make all of the difficulty things easy to get? Are you too lazy to introduce new, easier to get things? 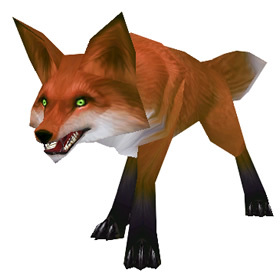 The fighting in Tol Barad has made it difficult to find these kits, and numerous would-be owners have decimated the fox population there as a result.